If your eyes could focus this closely you’d see that the world through a water drop looks upside down. 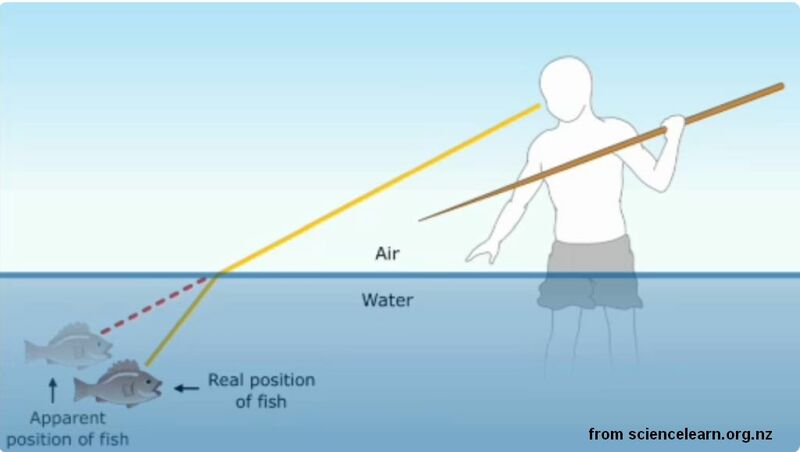 Refraction through water also makes rainbows — seen in the spider web above — and optical illusions. 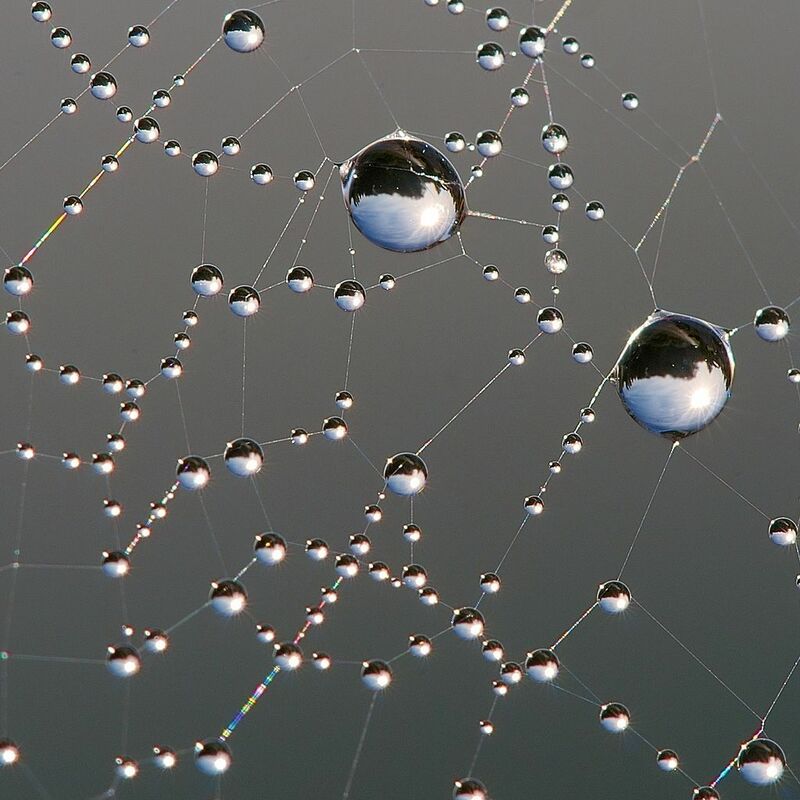 On a chilly damp morning Luc Viatour found a spider web displaying this illusion. off topic as usual: one of the baby eaglets is much less assertive and seems to be fed less than the other. Does the 3-day difference in ages matter all that much, or does the mother pick favorites early on? Kathy, the three day age difference is usually noticable until they are nearly ready to fly. The parents don’t pick favorites in the classic sense but they do feed the one who’s shouting the loudest.